This title was first published in 1986 during a recession much like that faced in recent years, which placed immense pressure on the British planning system and led to social unrest in the inner cities and in many disadvantaged areas. 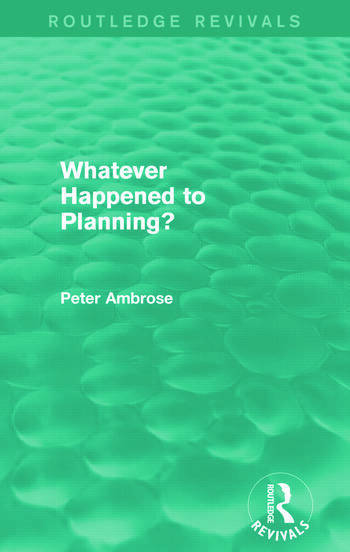 Within this context, Peter Ambrose outlines the features of land development and explores the circumstances of post-war planning. The central section of the book deals with the key forces at work in land development – finance, the construction industry and the local and central state – and explains how they interact. Using a number of case-studies, including the greenfield urban fringe and London’s docklands, as well as examples drawn from other countries, Ambrose provides an essential background to the British planning system and the problems still faced by it today.